When in Doubt…Vote “Incumbents” Out! •	Sharon Barnes Sutton, her two sons and two of her staff members received free YMCA memberships for years, including during a time when Sutton voted for a deal between the county and the YMCA according to Channel 2 Action News. The money exceeds $20,000. •	William Perry of Georgia Ethics Watchdogs said the arrangement between Sutton and the YMCA was a “clear violation” of conflict of interest in DeKalb’s Code of Ethics. 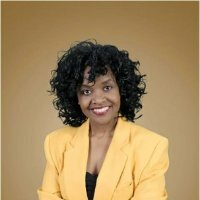 •	Sharon Barnes Sutton paid her boyfriend, Warren Mosby who is now running for the 6th District Commissioner, more than $34,000 in consulting fees financed by DeKalb County taxpayers in a report dated 2015. •	Sharon Barnes Sutton and her aide, Judy Brownlee, spent more than $75,583 on their purchasing cards since 2011 to include a $130 traffic ticket. 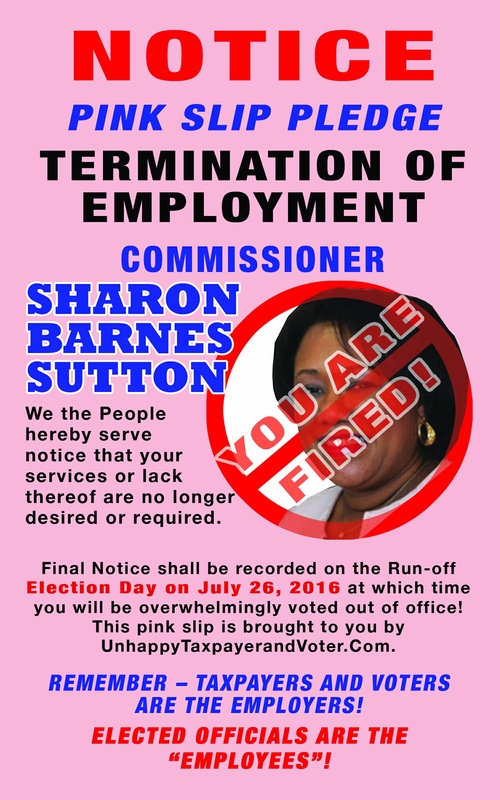 •	Sharon Barnes Sutton has a history of not answering Open Records Request in the years dated 2014-2016. The request had to be forwarded to the Georgia Attorney General’s office, Sam Olens. 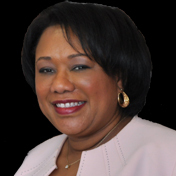 •	Commissioner Sharon Barnes Sutton’s trail of apparent financial mismanagement goes back nearly 20 years and includes bad checks, late taxes (such as property taxes), and garnishments. This is the second time in a year a court ordered that DeKalb County garnish the commissioner’s salary. 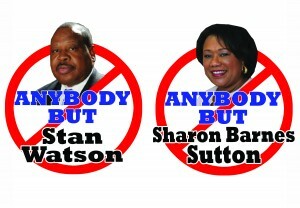 •	In the fight for the District 4 Commission seat, incumbent Commissioner Sharon Barnes Sutton has not attended any of the forums hosted by civic associations and other groups, and in the District 6 Commission race, Warren Mosby, who is challenging incumbent Commissioner Kathie Gannon, has not attended any forums as published in CrossroadsNews. 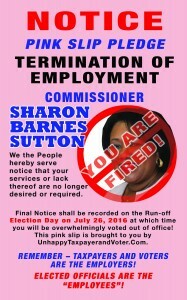 •	Sharon Barnes Sutton retaliated against private citizens that volunteered for the 4th District Community Council. She removed members despite the fact that over six vacancies existed on the community council. 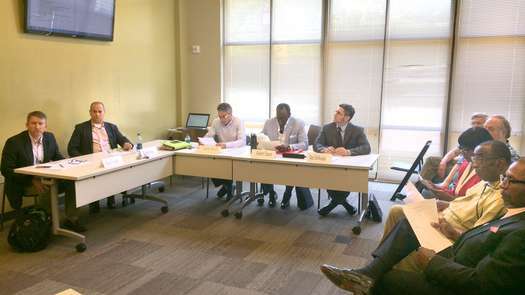 •	Sharon Barnes Sutton retaliated against a county employee who refused to lie about the fact that she worked on Barnes Sutton’s fundraiser during county work hours. After signing a memorandum restricting county employees from working on elected officials’ fundraisers, Erica Williams experienced a hostile work environment and harassment when she would not help with the cover-up. •	Sutton often complained of complaints being political. 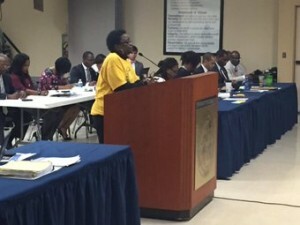 However Sutton denied that the special treatment she received from DeKalb County School System that permitted her to be late 24 times and out 46 times in a 3 month period during 2009 and late 78 times and out 100 times in a 9 month period in 2010 had nothing to do with her being an elected official. 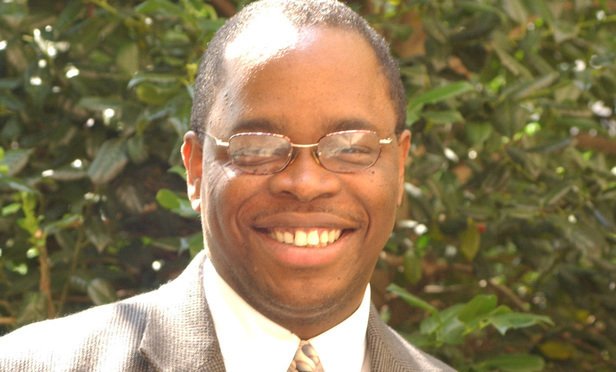 •	30 Producers with Comcast allege that Stan Watson worked in collusion with another Comcast worker to cheat them out of money paid to place their program on Public Access Television. •	Researchers discovered over $5,000,000 (5 million dollars) in Comcast payments to DeKalb County using a state law co-sponsored by Stan Watson that removed Public Access Television. Where did the money go? •	Stan Watson secured programming for his “private show called The Stan Watson Show” while “locking out” other producers (majority black producers) at Comcast. Watson looks after “self” first! •	Stan Watson was found guilty of ethics violations because he had a conflict of interest when he voted twice to give his employer a county contract. 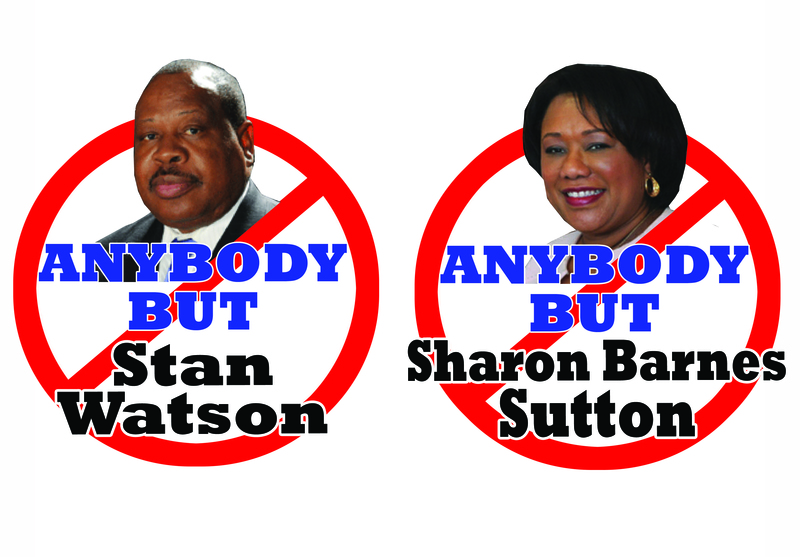 •	Ethics complaints allege Stan Watson violated Georgia campaign fundraising laws when he used more than $90,000 from the DeKalb Chamber of Commerce accounts. •	A jury ruled against Stan Watson and stated he must pay a $150,000 verdict resulting from Watson falsely accusing two women of stealing his wallet. The dispute led to one woman being handcuffed for an hour. We have two excellent candidates that will serve Commission District 4 and help restore public trust. Our community deserves representation with honesty, ethics, integrity and respect for taxpayers and voters. Dr. Curtis Thrasher leads a coalition of citizens to move DeKalb County in a new direction with new leadership. 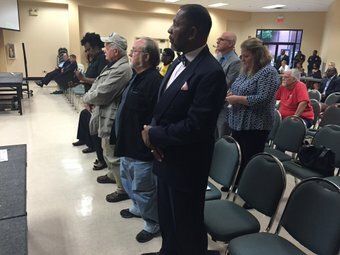 Dr. Thrasher has identified two elected officials that need to be removed from office in order for DeKalb County to recover from the cloud of corruption and restore public trust. We have submitted documents to the Board of Commissioners that show missing money from franchise fee and peg fees with Public Access Television and over $70 million dollars missing from Public Works/Watershed. Ask your Commissioners for copies under the Open Records Request and demand an audit (forensic audit) of these departments. Sharon Barnes Sutton and Stan Watson were on the Public Works Committee 5 of the 7 years the committee existed. Jeff Rader and Kathie Gannon were on the committee 3 of the 7 years. Lee May and Elaine Boyer were on the committee 2 of the 7 years. Nancy Jester was on the committee less than 1 of the 7 years.